One of my creative outlets is cake decorating... and it's most enjoyable when I get to play a role in the wedding of a dear friend! 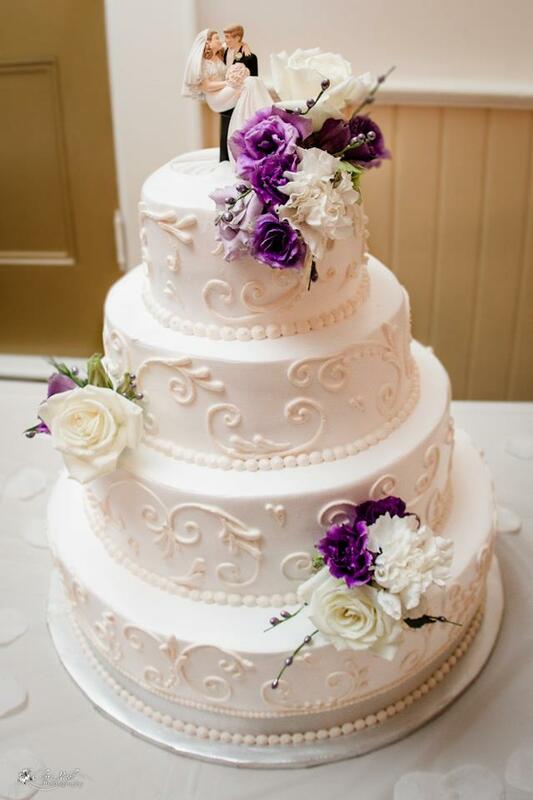 All with Bavarian Cream filling. 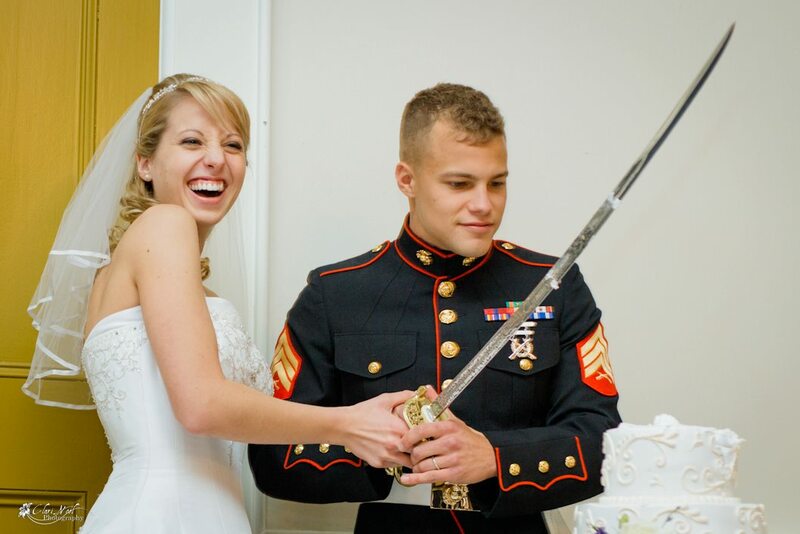 And as a Marine, Peter decided to cut the cake with his bride in a non-traditional manner.